Caribbean Bareboat Yacht Charters in the BVI, Bahamas, Granada, USVI, throughout all the Caribbean and now we have a catamaran in the Med. If you have been dreaming of going cruising or owning your own yacht, you have come to the right place! 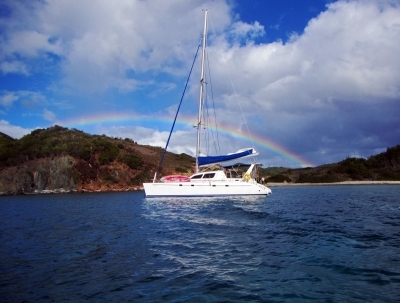 Seabbatical Long Term bareboat yacht Charter - Our yachts are privately owned cruising yachts available weekly or in our unique monthly discount bareboat charter program. Have you dreamed of cruising on a yacht? Seabbatical Bareboat yacht Charters can make that dream come true!!! Bring your family or friends and experience a Seabbatical Bareboat Yacht Charter for a week, month or longer at the best pricing discount you will ever find, really you can't afford not to go! The freedom of world class cruising and exploring on blue water yachts can be the highlight of a lifetime and only Seabbatical Long Term Bareboat Charters allows you to really relax during your bareboat charter vacation and explore the Caribbean on island time "Slowly". This is not just another bareboat charter company. This is real Modern Ocean Voyaging without time restraint. Why charter for 1 or 2 weeks when you can pay a similar price for 4 weeks and switch out friends during your charter to share the experience with those you wish to spend time with. Seabbatical long term Bareboat yacht charters offers what no one else does, affordable Long Term Discount Bareboat Charters and a real opportunity to go cruising and exploring with your friends and family without having to sell the farm. It is possible to have the best of both worlds and at destinations you have always wanted to experience. We offer Bareboat chartering throughout the Caribbean from Granada to the Bahamas.